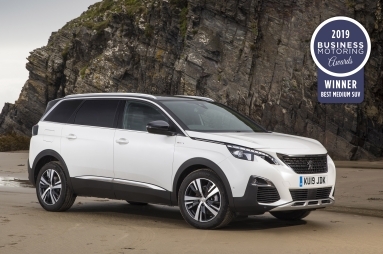 PEUGEOT’s versatile seven-seater 5008 SUV and Expert van both collected trophies at the Business Motoring and Business Vans awards in London yesterday. The 5008 SUV Allure 1.5L BlueHDi 130 manual was named ‘Best Medium SUV’ at the ceremony, staged at the Seven Dials Club at Covent Garden in London. 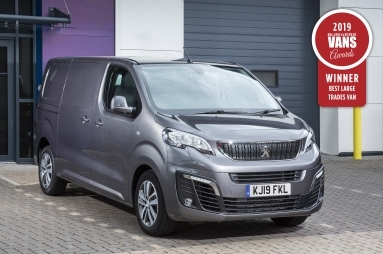 The award for the ‘Best Large Trades Van’ went to the PEUGEOT Expert Professional Standard BlueHDi 115 S&S manual 1000kg. Both models are no strangers to the winner’s podium. The PEUGEOT 5008 SUV was named “Large SUV of the Year” for the second year running in the What Car? Awards in January, while the PEUGEOT Expert has won a string of awards since its launch at the Commercial Vehicle Show in 2016. Stimulating, rewarding driving, sleek design, and uncompromising quality form the brand’s pledge to its customers and help produce the emotion provided by each PEUGEOT vehicle. Operating in around 160 countries with more than 10,000 points of sale, the brand sold more than 1,740,000 vehicles in 2018. PEUGEOT combines exacting standards, allure and emotion with the goal of being the definitive high-end, broad-based brand with global reach. The UK is the third largest market for PEUGEOT with its UK Headquarters located in Coventry. The UK car line-up includes the 108, 208, all-new 208, 308, all-new 508, 2008 SUV, 3008 SUV and 5008 SUV supplemented by people-carriers and a van range that includes the all-new Partner, Expert and Boxer. PEUGEOT is committed to low emission vehicles, currently selling Partner Electric and with a strategy to electrify every model in the range between 2019 and 2023.